Somebody please kill me, please, really, I’m serious. I’m kicking myself for ever buying into the whole Elf on a Shelf thing. 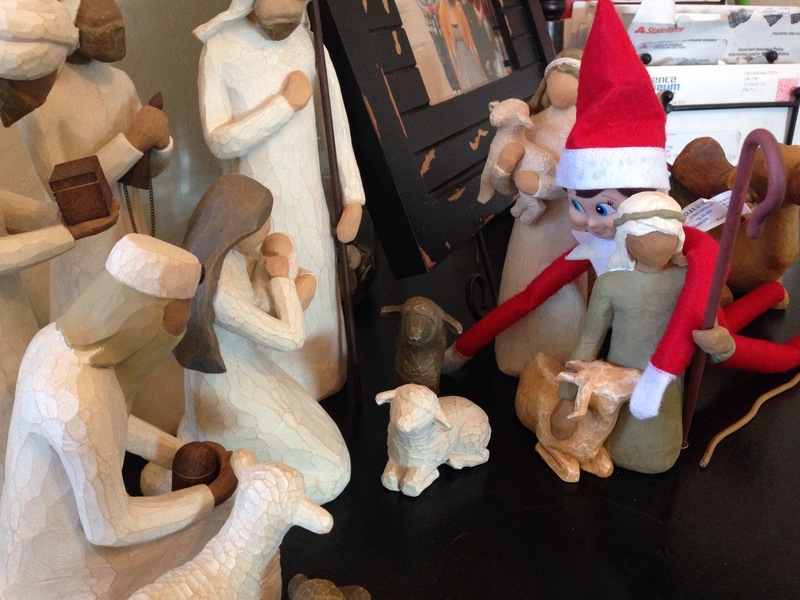 Here’s the deal at our house: a few years back, all Mia’s friends had elves and she became obsessed and she was so cute that we caved; Kevin was an instant hit among the eight-and-under crowd. He was even kind of fun for me and Caleb…for about thirteen days. And then our elf got craptastically boring. Kevin got less and less awesome with each passing year. Somedays he didn’t move at all. He certainly didn’t zipline across the kitchen on a candy-cane-and-licorice harness. Merrick is at about a .09% when it comes to caring about the elf. Arbor is too young to notice, so the questions remain: Should we continue this trickery that tricks no one and only makes our lives more complicated? Or should we quit while we’re ahead and spare Arbor ten years of unmet elven expectations and disappointment? Can I quit Santa Claus too while I’m at it? Because that guy is one stressful, glory-hogging bat turd if I’m being honest. This entry was posted on Friday, December 4th, 2015 at 5:16 PM	and posted in Uncategorized. You can follow any responses to this entry through the RSS 2.0 feed. « So this is Christmas. What’s sad is – never had that when my kids were little but last year my daughter wanted one and thought cool I’ll do it for her next year when she is a senior in high school. Well I always put tree up weekend after Thanksgiving but we had rain all weekend so no going out back to storage shed. So needless to say elf is still siting in box on shelf.